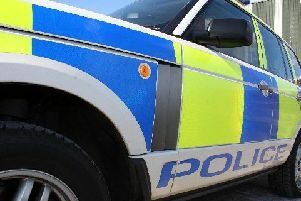 Police are appealing for witnesses after a delivery driver was robbed in Dalkeith. The incident took place in Woodburn Street at around 2.45am on Sunday (July 15), when the man was approached by a group of youths as he left an address. The 32-year-old was threatened with a knife and a two-figure sum of money was stolen from him. The suspect is described as a male youth with a local accent. He was wearing dark-coloured clothes and was part of a larger group of male and female youths. Detective Constable Kim Wilson, from Dalkeith CID, said: “This was a shocking experience for the man, who was, thankfully, uninjured and we’re working to trace this group as soon as possible. Anyone with information can call Dalkeith CID via 101, quoting incident number 0898 of 15th July, or report this anonymously to the independent charity Crimestoppers on 0800 555 111.